Manuel Göttsching is pretty much a living legend. The man behind krautrock pioneers Ashra Temple (with Klaus Schulze) and Ashra, is basically one of the founders of Kosmische Musik, post-Eno ambient and electronic music. With his 1984 solo masterpiece ‘E2 – E4’ he created a 58 minute trip through icy synths, metallic percussion en spacey guitar solo’s. Göttsching geniusly combined the minimalism of composers like Terry Riley and Steve Reich with an irresistible groove. 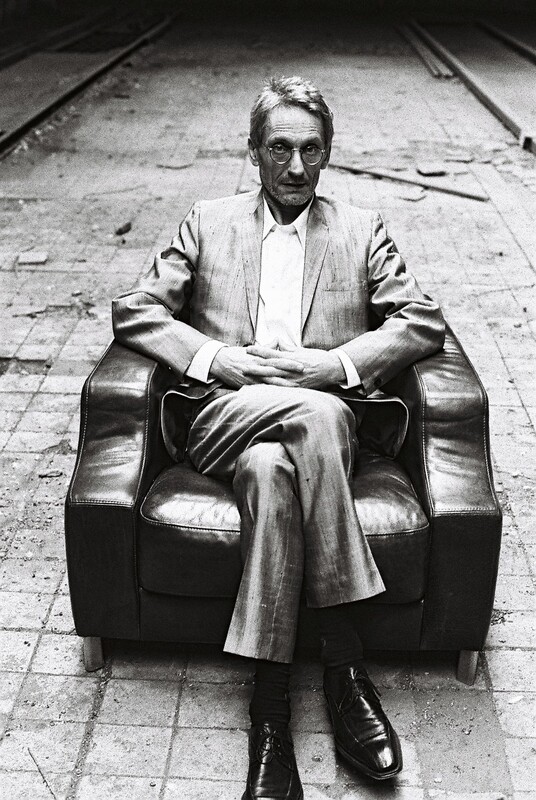 Thus the German musician – along with colleagues Kraftwerk – unknowingly inspired an avalanche of imitators on the other side of the Atlantic who would pioneer genres like house and techno. ‘E2 – E4’ came out on Klaus Schulzes label Inteam. It was hardly an instant succes but unexpectedly grew into an underground clubfavorite. Nightlife veteran clubbers- through remises by Carl Craig and Basic Channel – dug the chill out vibes of ‘E2-E4’. Iconic DJ Larry Levan used to play the complete record – up to three times in a row -during his legendary Paradise Garage-nights. Italian producers reworked it into rave classic and international dancehit ‘Sueno Latino’. And Derrick May did a remix of the complete record in 1992. In other words ‘E2-E4’ was and is a monumental record, one that changed lives and the general course of music history. This year we celebrate the 35th birthday of ‘E2 – E4’, which just got reissued on CD and LP through the MG.ART imprint. 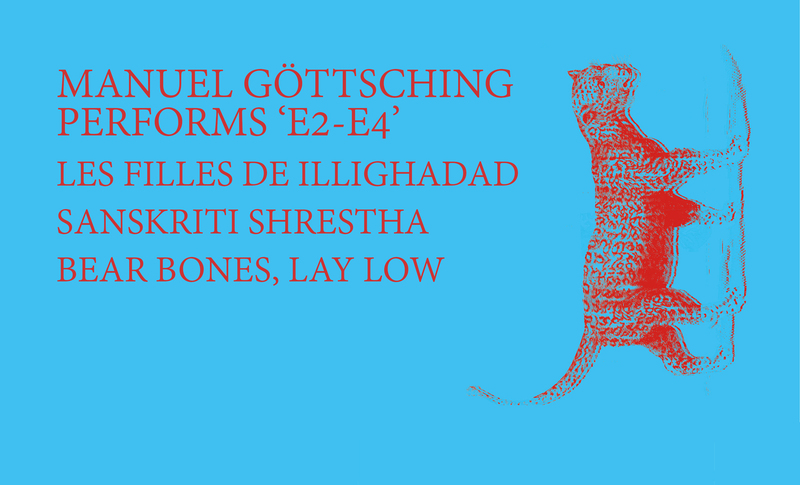 And Manuel Göttsching will do a rare and exclusive performanceof ‘E2-E4’ for the first time in Belgium at Eastern Daze III. You won’t wanna miss this. There is nothing the fantastic Sahel Sounds label puts out that can’t be classified as essential listening, but we have an extra special place in our hearts for the record guitarist Fatou Seidi Ghali and vocalist Alamnou Akrouni put out just last year. As Les Filles de Illighadad they play an ultra minimalistic form of desert blues; dreamy and laced with melancholy but at the same time tough and raw. 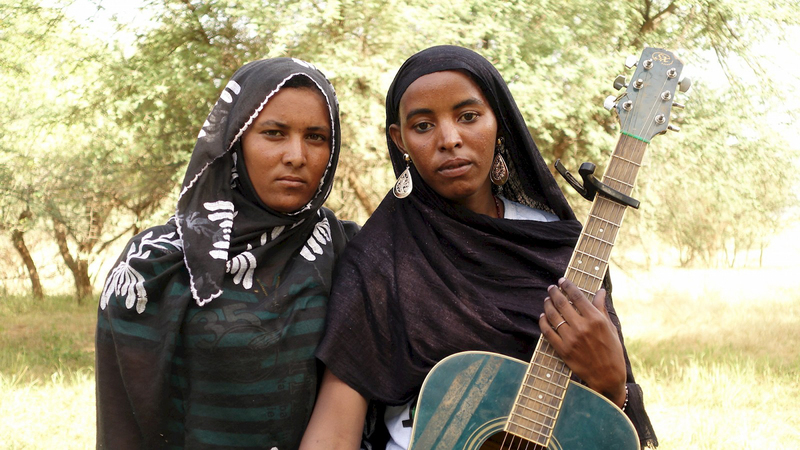 There is quite an abundance of Tuareg guitar bands touring Europe these days, but the Niger based Les Filles are something quite different and wholly unique. This is their first time in Belgium and if they’re half as good as on record, they might very will be the highlight of this festival. Sanskriti Shrestha is a descendant of a highly illustrious Nepalese family of professional musicians and regarded as as one of Nepal’s youngest leading tabla players. 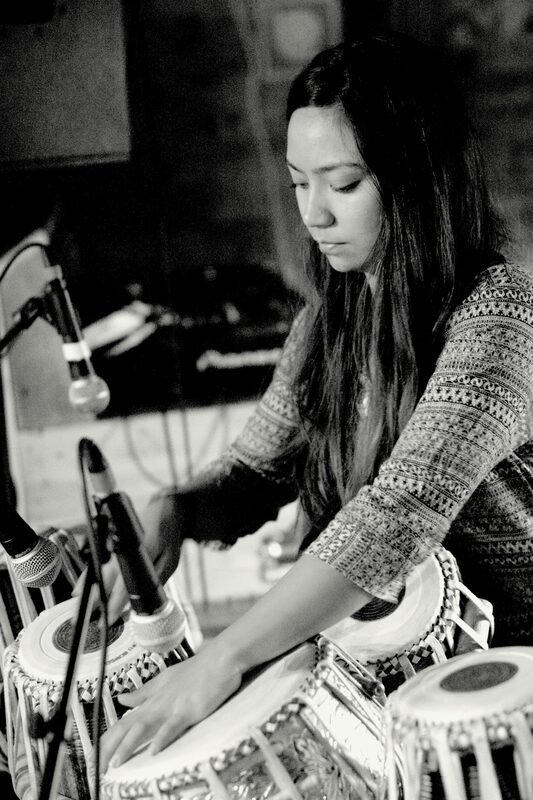 Playing since the age of 4 and currently residing in Oslo, she has developed into one of the most exciting percussionists of the moment, fusing eastern and western music and incorporating the principles of free improvisation and experimentation with a non-traditional extended setup. For Eastern Daze III she will do a set on tabla tarang, a melodic percussion instrument that can include up to 16 tabla’s. 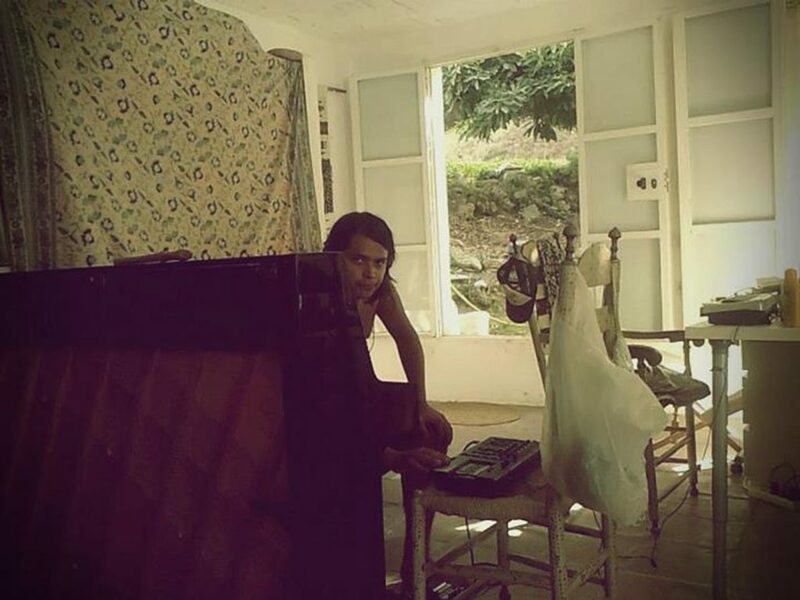 Shrestha will be joined by lehara player Tejaswinee Kelkar on harmonium. Sure, Waterloo has seen some major historic figures pass through it, but when all is said and done the most important one for us is easily Ernesto Gonzales. Nearly 10 years ago this Venezuelan wünderkid showed up in Belgium and started bombarding the local underground scene with music that was drenched in mescaline and attitude. His projects involve a membership in satanic krautrock ensemble Silvester Anfang and deep listening drone duo Steenkiste / Gonzales. He also produces the dirtiest kind of underground techno in Tav Exotic and turns country clubs into moshpits with his mighty crust punk band Viper Pit. But it all started from a solo endeavor which is still firing on all cylinders: Bear Bones Lay Low. Under that moniker Gonzales mixes drunken and dubby exotica tunes with tropical psychedelia into unforgettable mindbenders. We’ll be seeing all of you on the dancefloor.